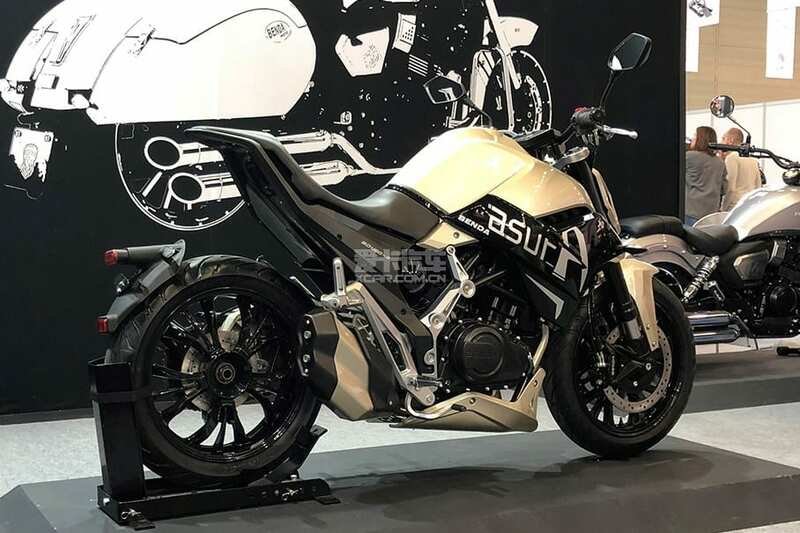 Benda Asura 400 is a new motorcycle concept by the Chinese Manufacturer which can put likes of Kawasaki and Suzuki to rest. The bike is more appealing through its design. 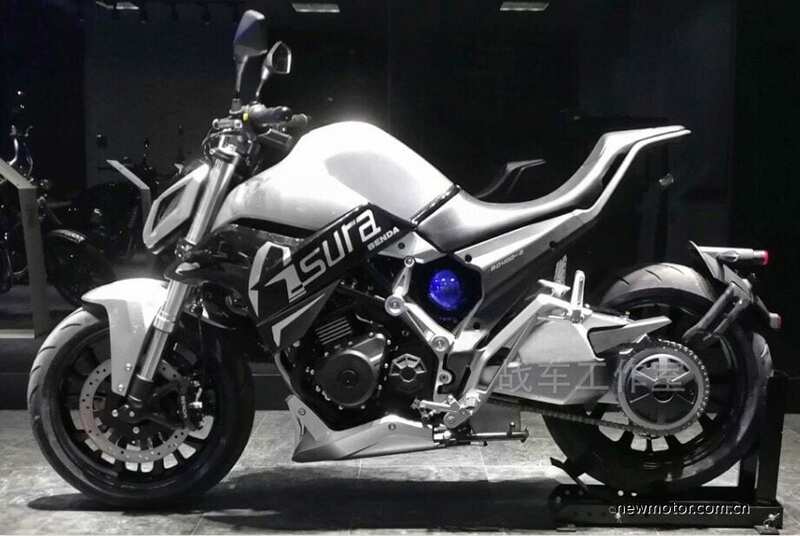 Concept got the fully LED lighting, Headlight has dual LED with the monster face, silver USD forks, short thick fender, dual disc brakes, multispoke alloy wheels on both tyres. Center got the huge tank with raised from middle. Lower seat is perfect for the riding position but the raised pillion seat seems to be impractical. 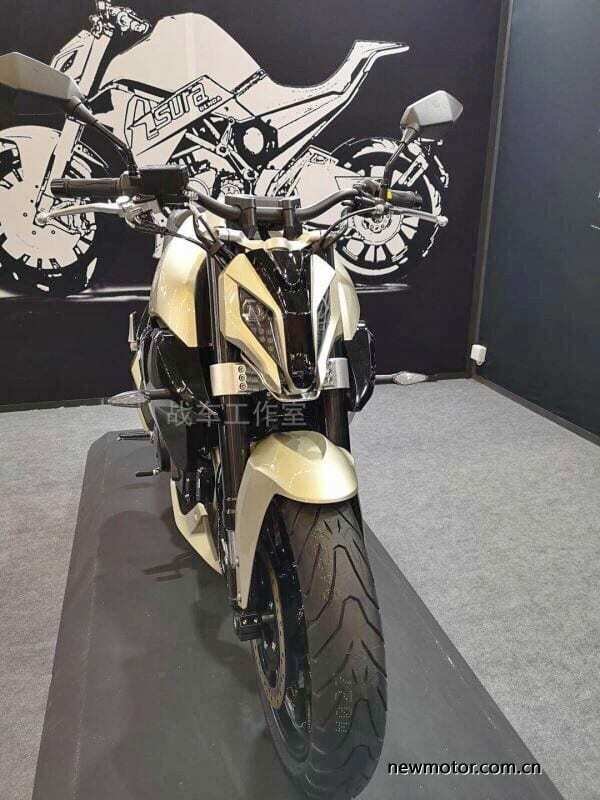 On rear the bike got single sided swing arm. On other side there is a dual exhaust. Asura 400 has given a 399cc twin cylinder with liquid cooled engine capable of producing 43.5 HP power. 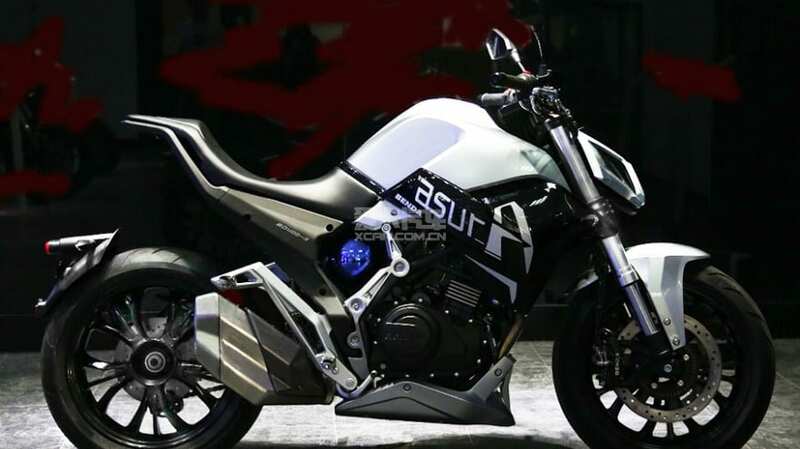 One concept got the white color scheme with silver USD forks and black panels. Other got golden color with black panels and USD forks.